Why Joomly Callback is the best Call Me Back module? Our license doesn't limit installation counts. Install it anytime you want. Callback is easy to use and configure. You can choose a color scheme, fields to display, edit sending messages etc. Below you will find detailed video instructions for module configuration. All modules have Google Analytics goals template. Just follow three fields and track your goals. 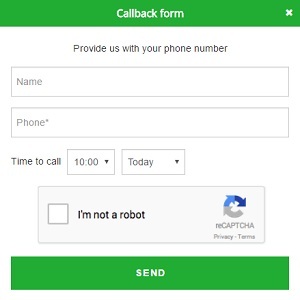 We use Google Recaptcha v2 and v3 in the module. This captcha is easy to use and provide maximum protection. 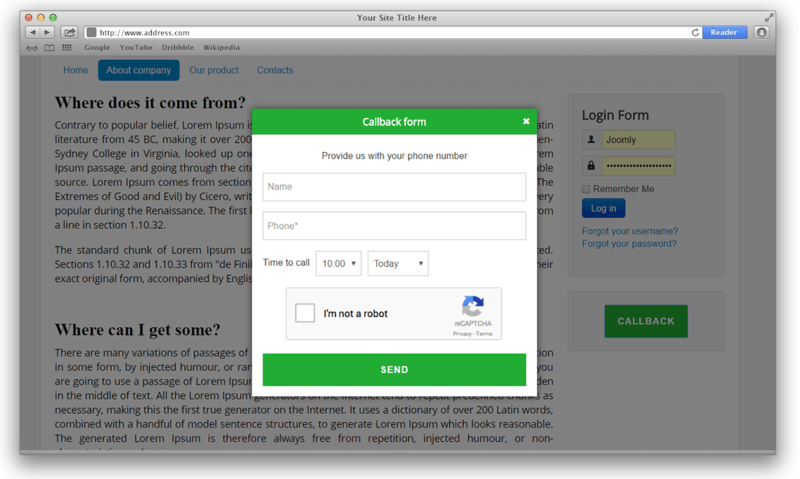 Add the sticky button to your page and users can call the callback module from anywhere.